Mycelium, bees, and stardust are the central mysteries of the Living Love Revolution. This temple is focused on the theme of stardust. 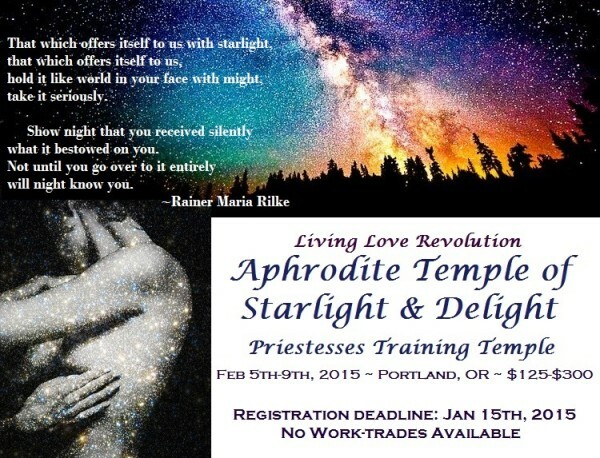 Aligning our internal vibrations with the ancient archetype of the Sacred Whore and Star Goddess whose names include: Aphrodite, Venus, Ishtar, Inanna, Astarte, Melek Ta’us, Babalon, Nuit, Isis, and many others across cultures and time. The word desire comes from the Latin desiderare (“to long for”), from de- + sidus (“a star”). We gather in Temple to awaken our desires, to venerate and be guided by the Stars. 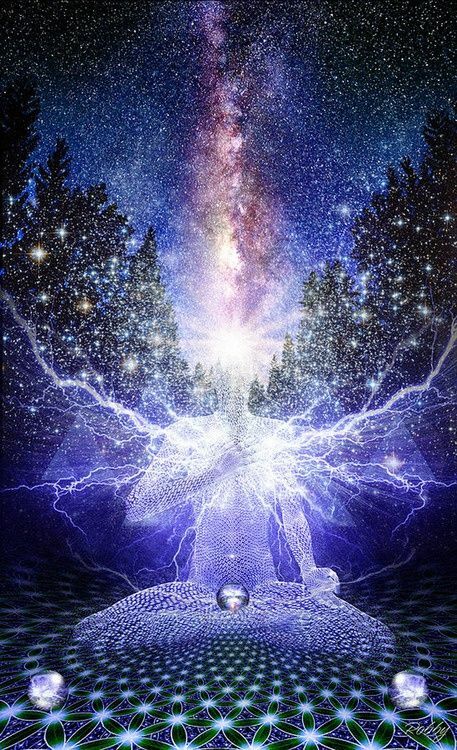 This Temple focuses on immersion in the web of connection between the expansive Transpersonal Love of the Galaxy with the ancient astral planes within each of us. Weaving ourselves together in this web is especially potent given the added dimension of all attendees being in Priestess Training. We will emerge from this temple a more united and galactically constellated Priestess Body.